So, the final week I decided to go back to more realistic faces and to use my pencils from Derwent. 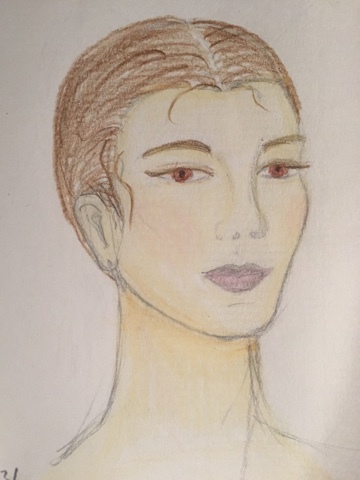 For this first one I've used Cream with Ochre for shadows, Pink for the lips, Dark terracotta for the eyes and finally Brown earth for the hair(s). Did not erase the sketch lines, maybe will do that tomorrow.